My co-workers are probably sick of hearing the word “nachos”. Don’t ask me why, but I’ve been weirdly obsessed with eating them non-stop for going on two months now. I always make my family’s meat and beans recipe. I could eat it morning, noon, and night. And have done so. Don’t judge. 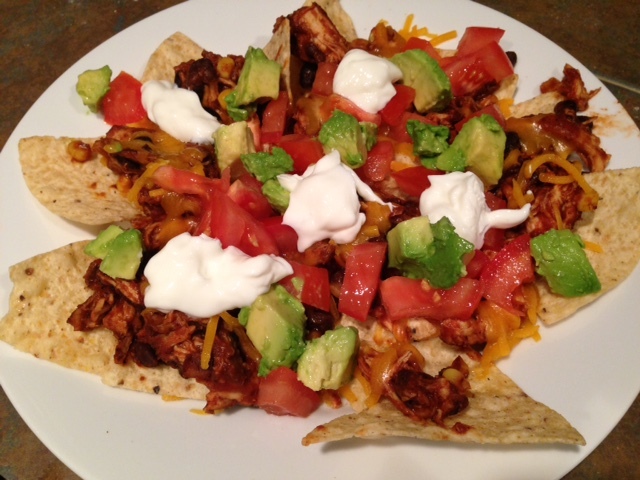 But I’ve never made chicken nachos before. I’ve only ever had them once or twice at a restaurant, but I was still craving nachos one Sunday and decided I needed to try something new. 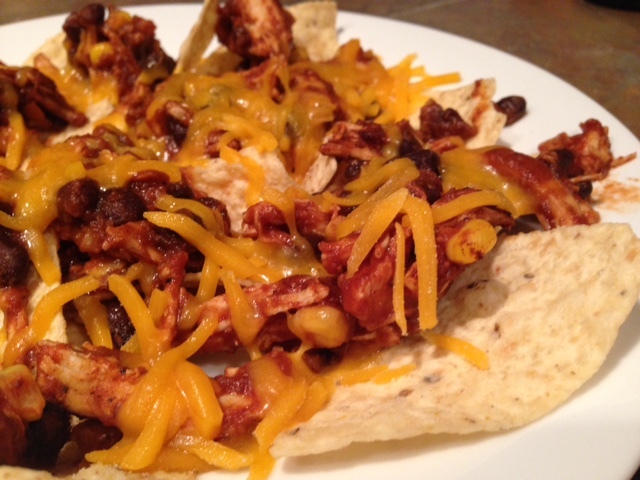 I looked up a bunch of nacho chicken recipes, but kept coming back to the Pioneer Woman’s, so that’s what I decided to try. It also was fairly simple compared to the others, fewer steps and less time overall. 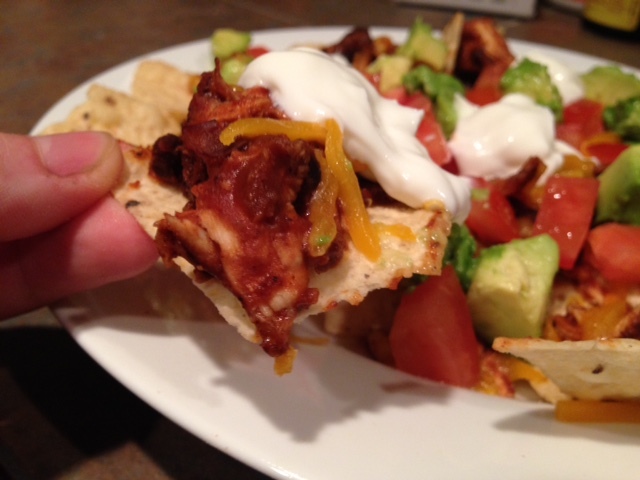 One of the great things about nachos is that the toppings options are basically unlimited. 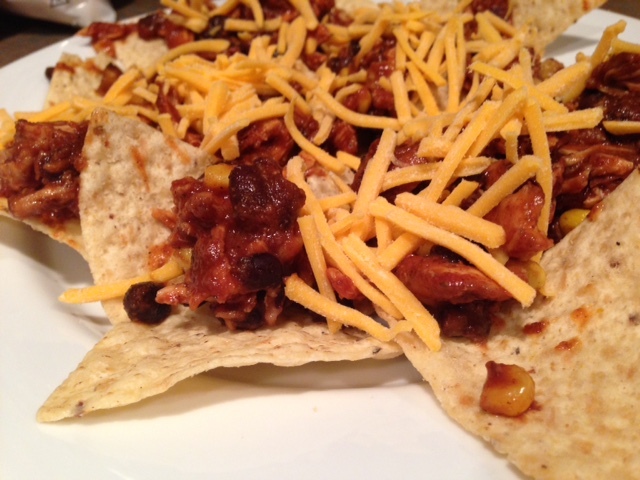 Generally I go pretty plain—meat, beans, and cheese—but these called for some extra awesomeness. If your chicken breasts are fat, I’d recommend slicing them thinly (width-wise) so they’ll cook faster and evenly. I was dumb and it took way too long for them to cook. 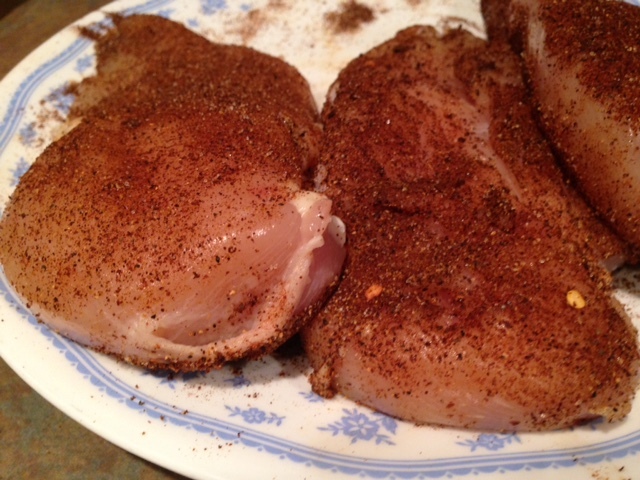 Then sprinkle or rub both sides of the chicken with the taco seasoning and chili powder. Really get it on there thick and rub in as much as you can. Heat the olive oil in a large, deep skillet over medium heat. Cook the chicken breasts on both sides until they’re totally done in the middle and a nice golden on the outside (they may look almost blackened due to the spices). Then remove from the skillet and let rest while you make the sauce. In the same skillet, whisk in the tomato sauce and the hot water (plus the hot sauce if you’re using that), and bring to a gentle boil. Then reduce the heat to low and taste it, adding any seasonings it needs (may need salt, but remember that your chicken will have seasoning as well). 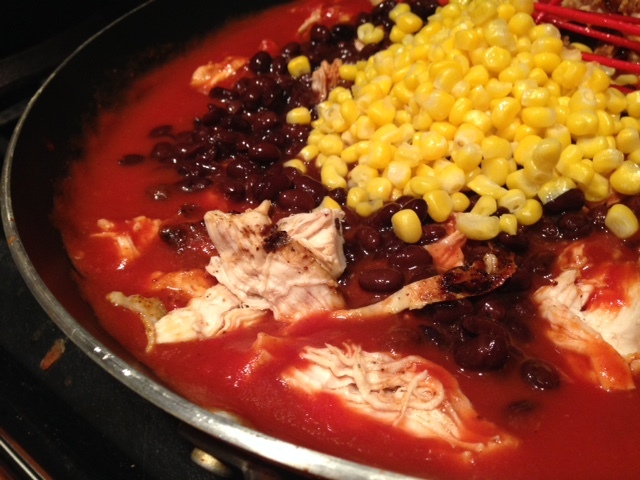 Add the corn and black beans as well. Shred the chicken with two forks and transfer to the sauce. Toss to coat it in the sauce and allow to simmer for a few minutes (or a little longer if you’re finishing up the rest of the meal—it’ll keep soaking up the flavor). 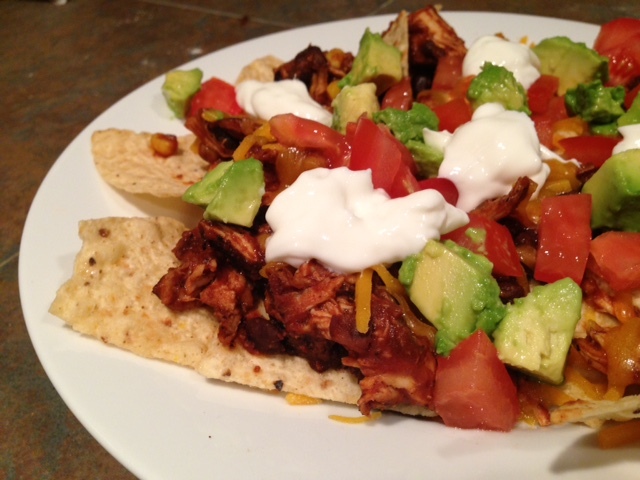 You can use the chicken a lot of ways, like a taco salad bowl, soft tacos, whatever. 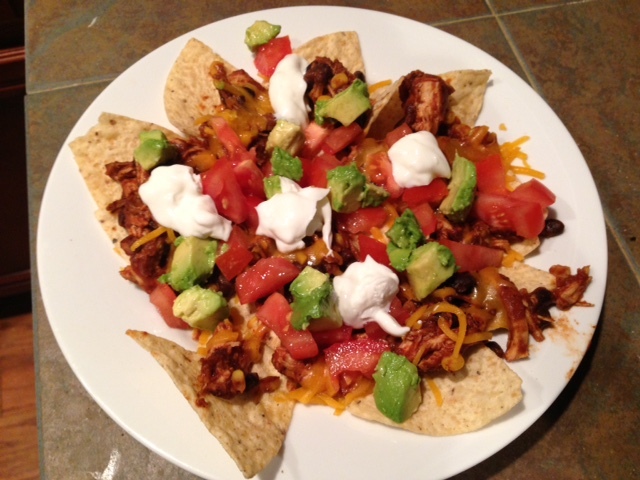 I chose nachos because NACHOS. 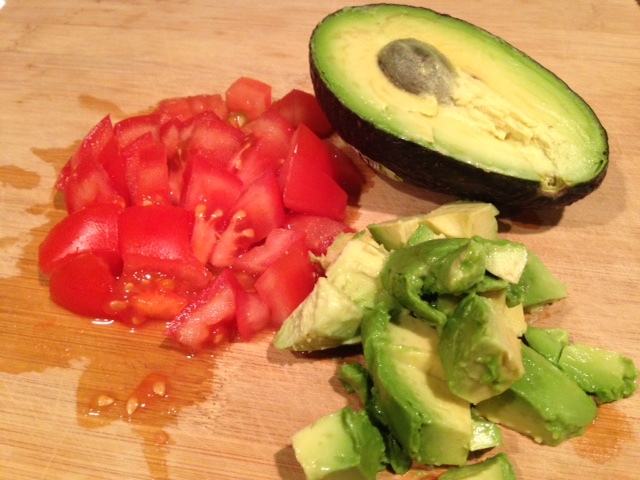 Get as fancy as you like…tomatoes, onions, avocado, sour cream, jalapenos. Let your heart be your guide. 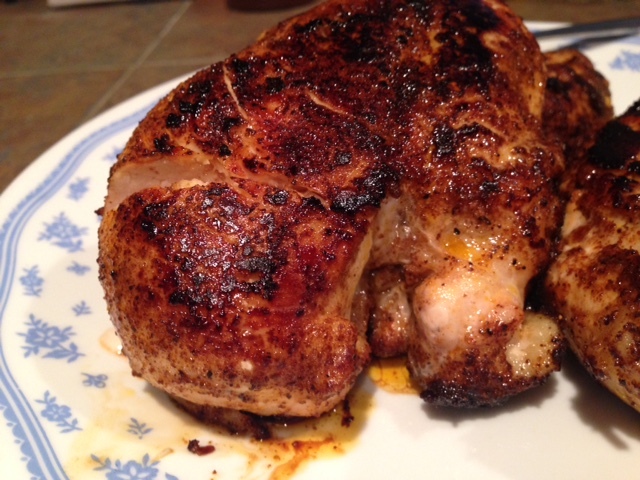 Sprinkle or rub both sides of the chicken breasts with the taco seasoning and chili powder. Really rub in as much as you can. Heat the olive oil in a large, deep skillet over medium heat. Cook the chicken breasts on both sides until deep golden and totally done in the middle. Remove from the skillet and let rest for a few minutes. In the skillet, whisk in the tomato sauce and the hot water (plus the hot sauce) and bring to a gentle boil. Then reduce the heat to low and keep warm. 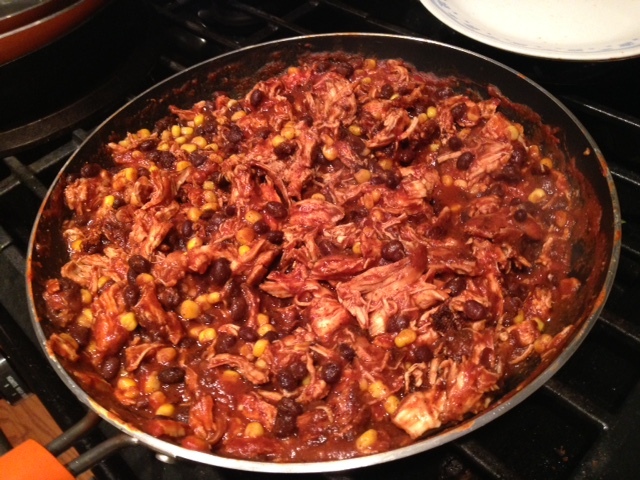 Taste and adjust seasonings (may need salt, depending on the taco seasoning you use), then add the corn and black beans as well. Shred the chicken with 2 forks and transfer the shredded chicken to the sauce. Toss to coat it in the sauce and allow to simmer for a few minutes (or a little longer if you’re finishing up the rest of the meal).